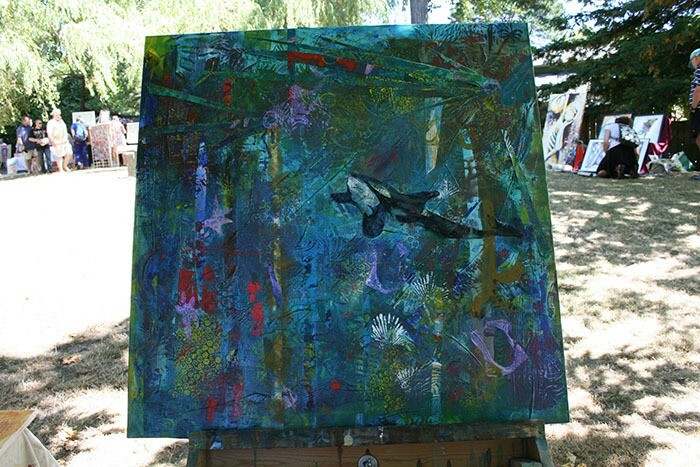 The Community Art Project created by all the visitors to the Bowker Creek Brush Up Outdoor Art Show and Sale in 2013. The Community Art Project created by all the visitors to the Bowker Creek Brush Up Outdoor Art Show and Sale in 2013. A silent auction was held for this piece of art during the August 10th annual Brush Up. The highest bid was by Coun. Kevin Murdock, who also was acting mayor and made the opening remarks and cut the ribbon for this year’s well-attended event.